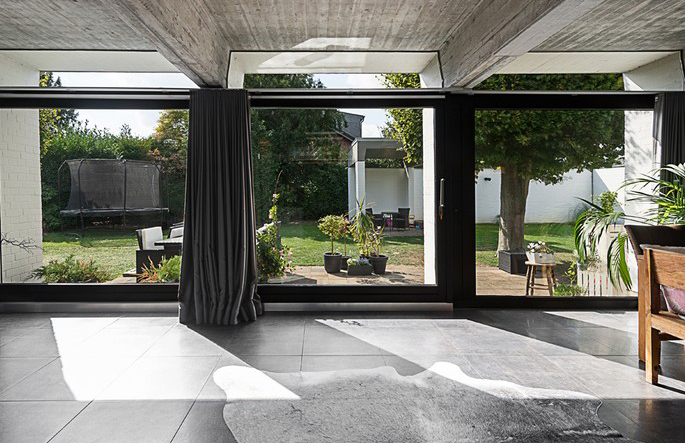 A concrete-filled home by Wolfgang Döring has hit the market in Germany’s Langst-Kierst for €980,000 following a refresh to its modernist bones. 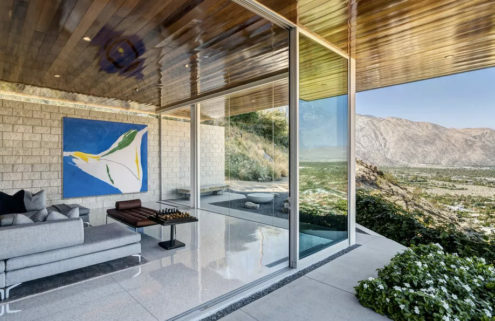 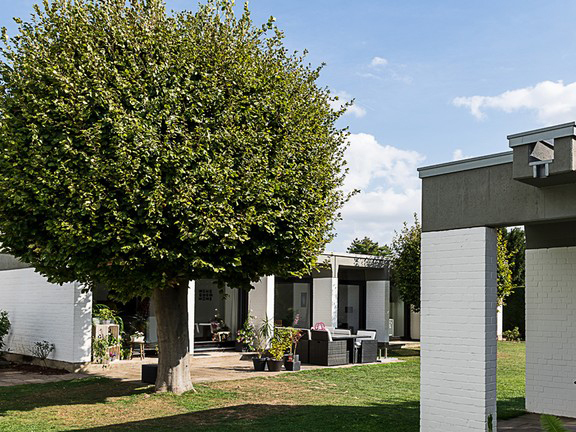 The German architect is well known in the North Rhine-Westphalia region, especially for his work in Dusseldorf, and he designed the midcentury three-bedroom bungalow in 1967. 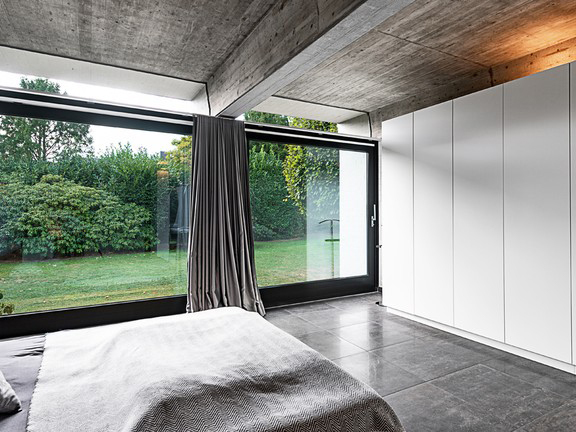 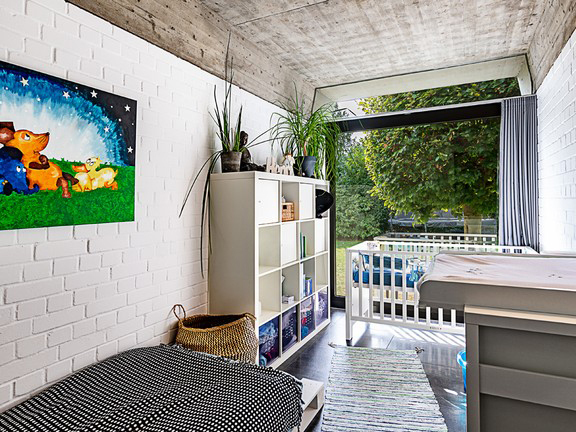 Exposed concrete ceilings run throughout the German property – on the market with Engel & Völkers – as well as painted brick walls. 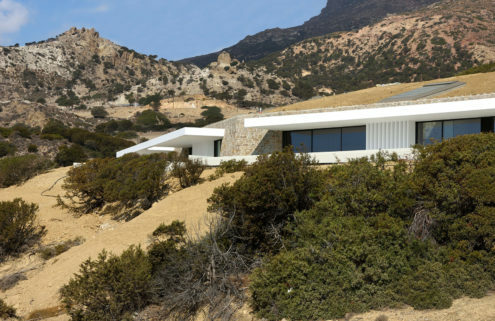 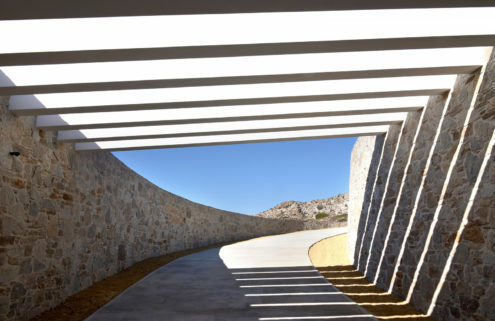 The open-plan living room and bedrooms feature full-length windows that look onto the back garden, which is shielded by a limestone wall. 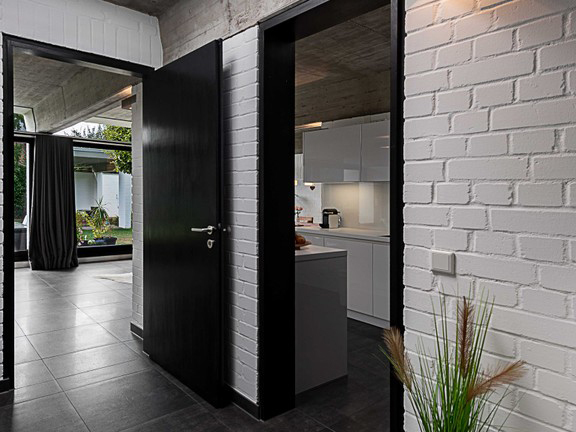 Recent renovations include a the installation of underfloor heating, as well as a glossy kitchen and bathroom.